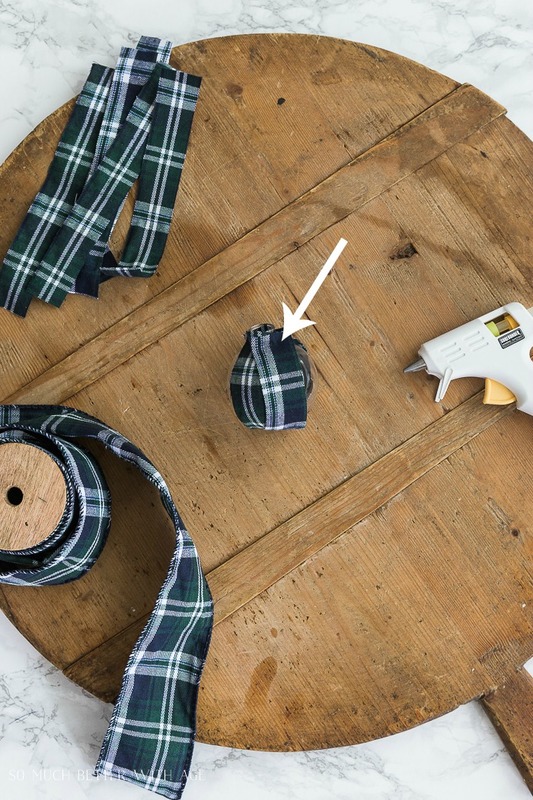 These DIY plaid Christmas ornaments are easy to make and will brighten your Christmas tree this year. Since I’ve added plaid to my Christmas mantel and living room decor, I decided to make some plaid tree ornaments. 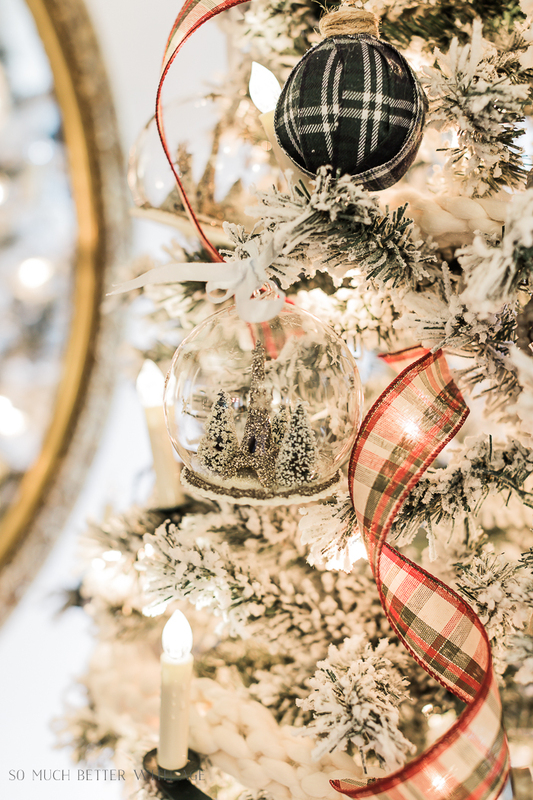 I’m also joining another tour hosted by Kelly of My Soulful Home so be sure to visit the beautiful tours for more Christmas inspiration at the end of this post along with a GIVEAWAY! 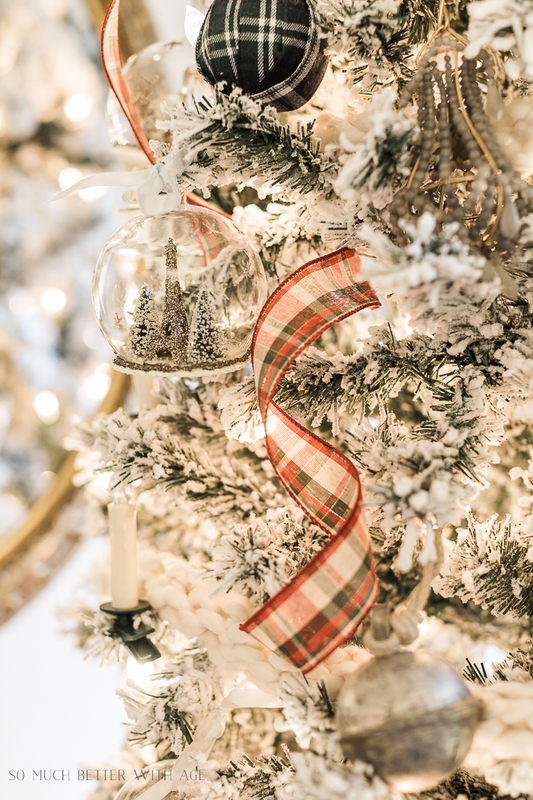 Remove the top metal part of the ornament and put a dab of hot glue near the top of the ornament and carefully press a strip of fabric down. Wrap around the ornament and glue the other end down. 2. Take another strip and dab some glue to the right side of the first strip, overlapping some and wrap around the ornament until it comes up on the right side again and glue into place. 3. Continue wrapping the strips until you have filled the whole ornament (should be 5-6 strips an ornament). 4. Glue around the top edge and push the metal top back in place. 5. Dab glue over the metal top and hold some twine in place, twisting around the top a few times and glue the cut end down. 6. 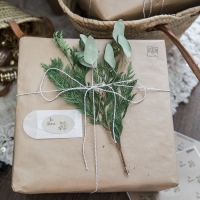 Tie some twine through the loop and hang on your tree. 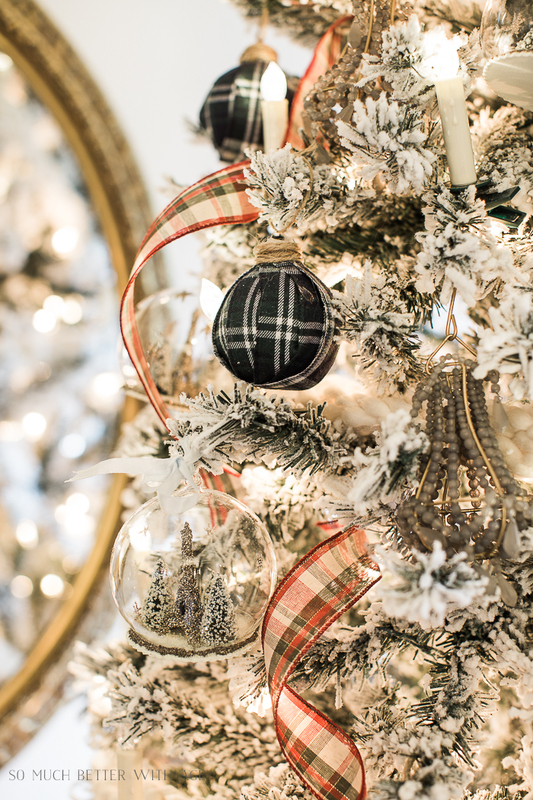 I love how they turned out and it adds just a splash of plaid color to my tree. I also love the candle clip-on lights that I just purchased this year. They are battery operated and have no wires so they can be placed anywhere which I love! With the remote, you can make the lights flicker. I also cut some red and green ribbon and gave it a twist before adding them to the tree. 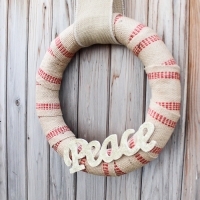 They add just a little bit of red and because they have wire in the ribbon, they just stay in place. I also added my Eiffel Tower globe ornaments that I’ve had for years and still love. I also added my chandelier ornaments that I bought last year. 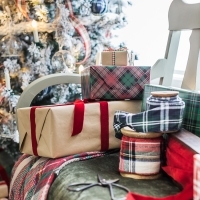 This is the first time in a long time that I’ve added red to my Christmas decor and plaid!! I’m loving the change and I also love how it still goes with my ornaments from previous years. 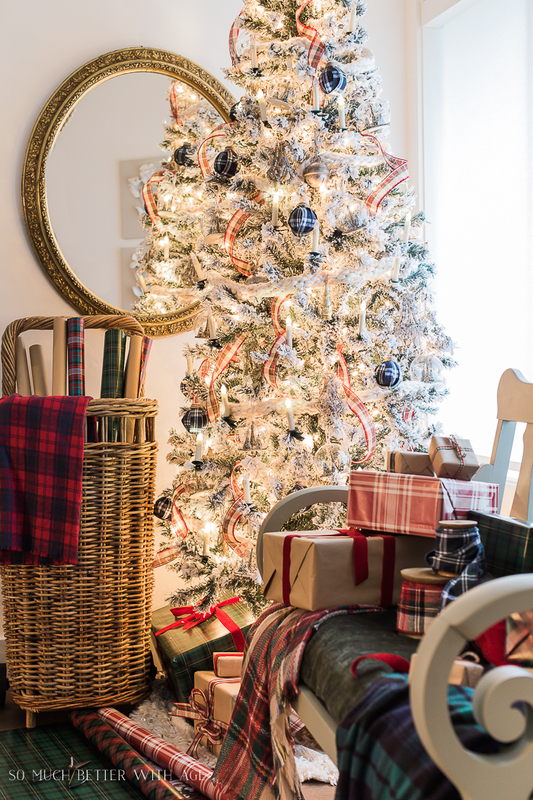 And with just a few plaid touches, it’s made my whole Christmas decor different from previous years. Now be sure to enter the giveaway and to visit the other tours this week! Today’s tour is sponsored by Bespoke Decor. 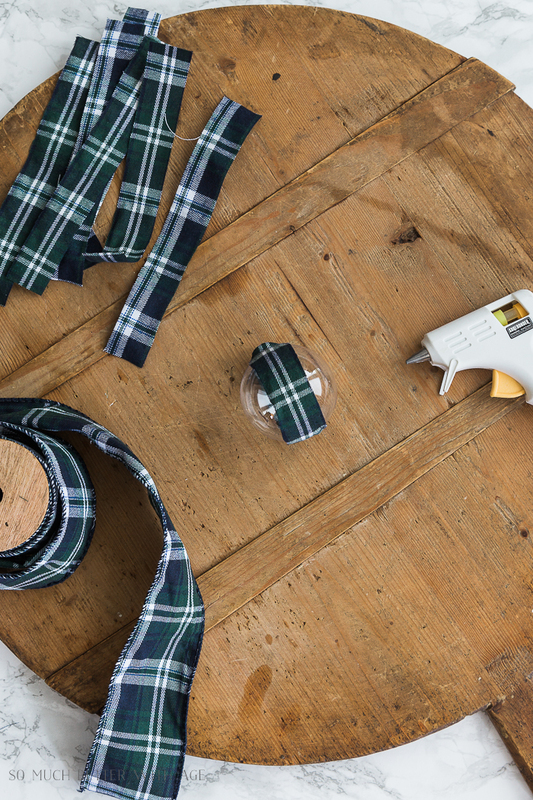 Read on for an opportunity to enter for a chance to win a $200 gift card to Bespoke. Happy Holiday to you a bit early! 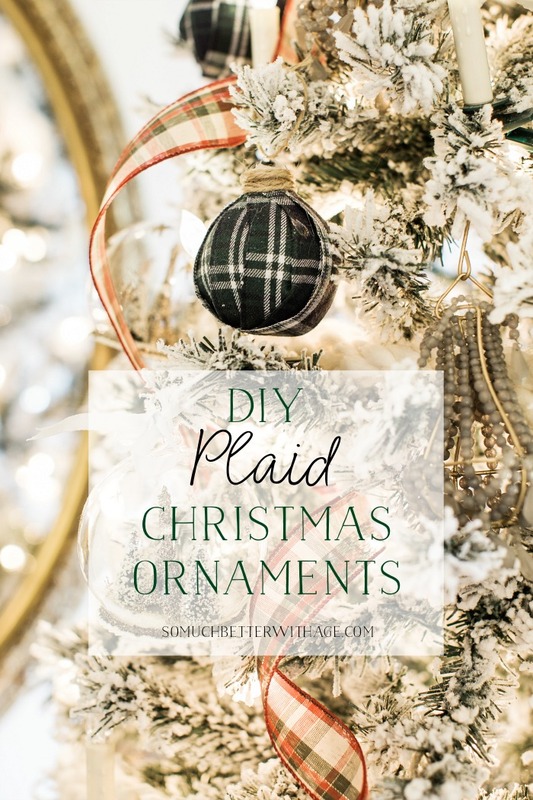 I just added black plaid drapes to our upstairs hallway and I am going to take inspiration from you using the offcuts to make a few of these charming ornaments… they are perfect!! So pleased to be part of the tour with you this week!! 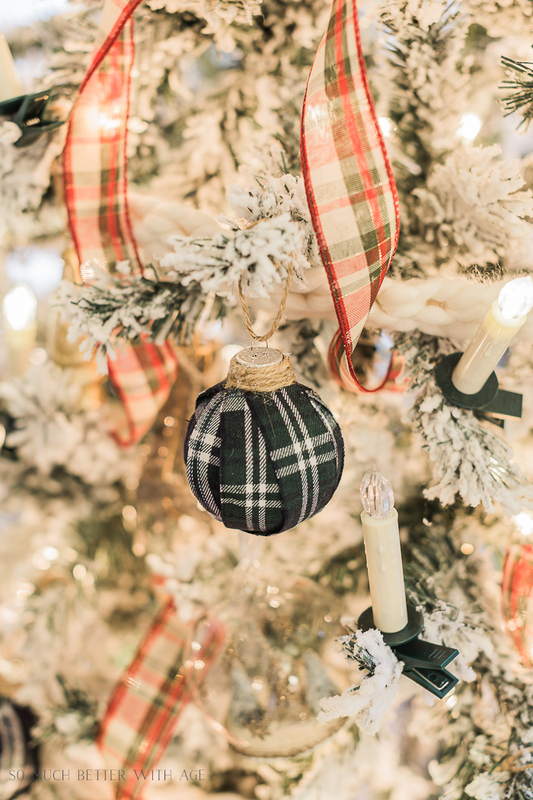 Jamie…LOVE the plaid ornaments and love how you wrapped the top of the ornament with the jute….beautiful, beautiful! !….Merry Christmas Jamie!!! Thank you so much, Shirley! It was fun to do plaid this year. Hi Jamie, Everything looks so beautiful!! You did a wonderful job. 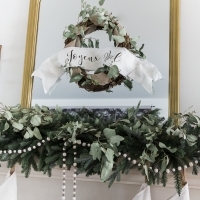 I am interest in the Yarn Garland… did you make this yourself?? 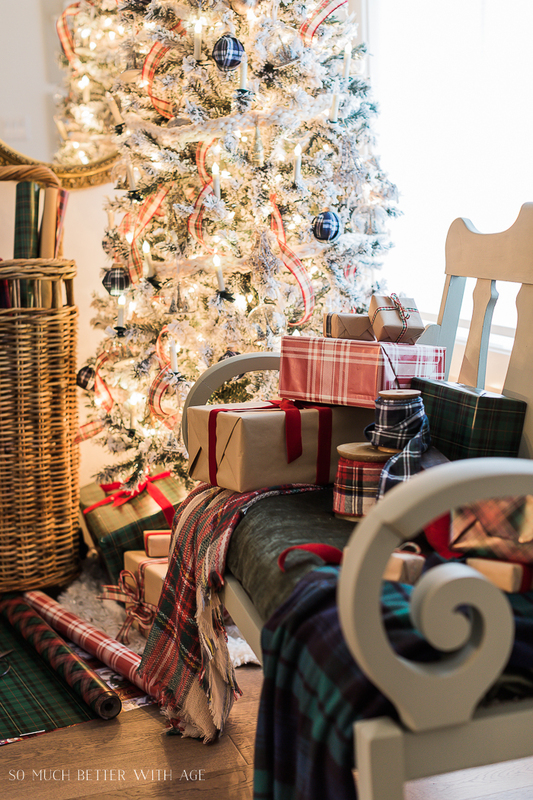 I have some left over from blankets I made last year and would love to make one for my tree this year…. 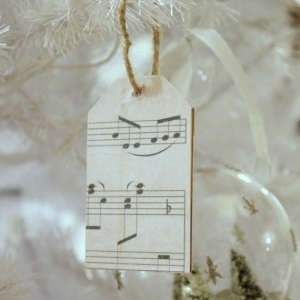 These look gorgeous on your tree, Jamie! 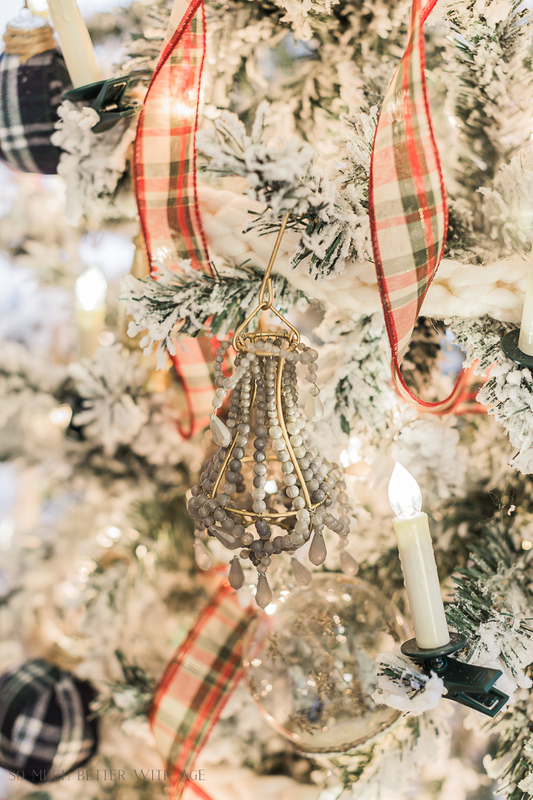 (And I love that your tree has faux candles on it!). I like how easy they are to make, too. 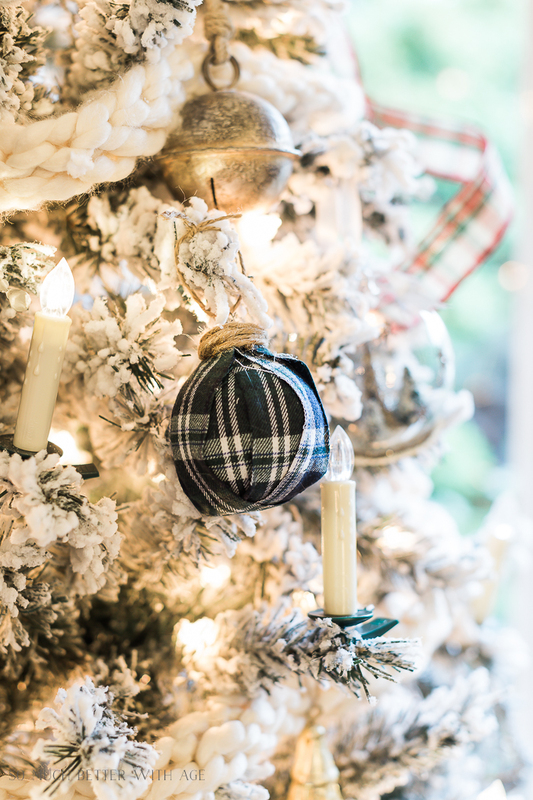 Thanks for linking up at Merry Monday; I’m going to include your plaid ornaments in my Party Features next week. Thank you so much, Emily! I truly appreciate it!